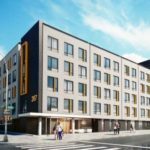 A new homeless shelter in Crown Heights – located just a block away from the Bais Rivkah Girls’ School – has officially opened its doors yesterday despite much opposition from local residents. However, this morning, a judge blocked the shelter from admitting any new residents pending the ongoing litigation. A day after a Crown Heights homeless shelter opened its doors to 10 families, opponents successfully convinced a judge to temporarily block any new residents from entering, according to plaintiffs of a new lawsuit and city officials. A Brooklyn Supreme Court judge on Tuesday granted a temporary restraining order blocking more families from moving into the shelter at 267 Rogers Ave., according to the city and a representative of the Crown Street Block Association, which filed a lawsuit to stop the opening. The order by Judge Donald Kurtz will not affect the 10 homeless families who already moved into the Rogers Avenue shelter Monday, a spokesman for the Department of Homeless Services said. The next court hearing in the case is set for Thursday, according to Dion Ashman, president of the block association and a plaintiff in the case. He said the group is looking to force the city to repurpose the Rogers Avenue facility into “100 percent low-income housing,” something locals and elected officials have pushed for previously. “We’re not looking to kick them out. We want them there permanently,” he told DNAinfo on Wednesday. 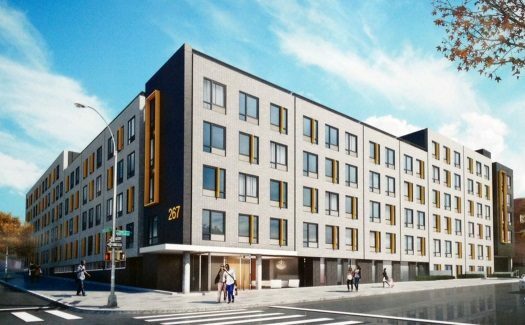 The shelter is slated to house a total of 132 families with children from Brooklyn, the city said. It is one of the first five shelters planned to open under Mayor Bill de Blasio’s plan to overhaul the DHS system. The plan calls for placing homeless people into communities where they last lived, a policy backed by a new report issued by the Center for New York City Affairs at the New School. The agency’s spokesman Isaac McGinn said DHS had planned to move more families to 267 Rogers Ave. this week. “We’re confident this matter will be resolved shortly so that we can give homeless families with children the opportunity to be sheltered in this high-quality facility as they stabilize their lives,” he said in a statement. This is now the second shelter in the neighborhood stopped from full operations by legal proceedings. 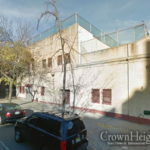 On Wednesday, a judge is due to make a decision about a controversial 104-bed men’s shelter that has been blocked for nearly two months by a lawsuit brought by its Crown Heights neighbors who are seeking better security and loitering restrictions at the facility. Is the new board going to deal with that issue? A Jewish mom and her 5 Jewish children are now living in a homeless shelter in the Bronx. They ran into tough times, and then ran into a hostile condo board. It can happen to anyone. I hope Yiddin never need to make use of it. The homeless should be sent back home. LOOK LIKE IT IS A LOT NICER AND BETTER THEN A LOT OF THE FISHER APARTMENT BUILDINGS IN CROWN HEIGHTS !! This is near the high school on Crown. The strike was for the lower division, on Lefferts. So,if they need go to the shelter, they will be next to their beloved Beis Rivka. It’s embarrassing that the community didn’t get involved – with minor exceptions. Thanks to Yaakov Behrman and a handful of others. The younger generation has to step up.